For too long, developers and commercial entities with deep pockets have received favorable treatment regardless of merit, or any real benefit to our town. Our leaders should focus on "smart" economic development that will create jobs and opportunities for everyone. The following excerpts from minutes of meetings of the Board of Supervisors offer a glimpse into past discussions and decisions of the Board related to development issues. You be the judge if the decisions were smart for Newtown! Details of previous and ongoing land development issues that have come before the Newtown Board of Supervisors (BOS Definition) in last few years. This is NOT a complete list of items. You can find complete minutes of BOS meetings here. Click this button Definition to access the Glossary for definitions of terms and links to related information. 12-Sep-2018: Report from Planning Commission: Chairman Allen Fidler reported that the Commission has discussed the plans for Arcadia Green, but as the applicant's engineer and traffic engineer were not available to answer questions, the Commission offered a few suggestions regarding the plans but did not make a formal recommendation. 8-Aug-2018: Report from Planning Commission: Allen Fidler, Chairman, gave a synopsis of the Arcadia Green PRD Definition presentation at the August 7, 2018 meeting, and the Commission asked questions of a general nature to the applicant. There were no formal recommendations made. Some of the concerns of the Commission and from public comment were traffic and pedestrian safety issues, proposed double left u‐turns at Mill Pond and Buck, development infill affecting quality of life, and roadway safety accessing and leaving their developments via Buck Road and the Bypass. Suggestions from the Commission included a pedestrian bridge, a second access to the development for use by EMS services only, and for partial open space to remain as undisturbed habitat for native plants and wildlife. 8-Aug-2018: Arcadia Green PRD Hearing: Resident Jay McGuigan, 271 High Street, Newtown Crossing, was given Party Status Definition Resident and vice president of Eagle Ridge Association Dennis Schoener, 21 Ardsley Court, Eagle Ridge, was denied party status; however, if an attorney is hired by Eagle Ridge, they may have the opportunity to be included. Mr. John VanLuvanee, Esq., applicant’s counsel, presented the Supervisors with a binder of exhibits and addressed the history of the property and previous plans. Mr. VanLuvanee explained an offer of a mediation option for the Board to consider. Mr. Calabro asked for a motion to submit the application to mediation. The motion failed. [In response to VanLuvanee’s request that several Supervisors be recused due to bias, Township Solicitor Definition, Dave Sander, cited section 603 of the PA Second Class Township Code, which states: “A member of the board shall not be disqualified from voting on any issue before the board solely because the member had previously expressed an opinion on the issue in either an official or unofficial capacity.”] A motion to recuse the Board members was denied. 25-Oct-2017: Report from the Planning Commission meeting of October 24th. The proposed High Street access and under the Township's position, required a willing modification of the adjacent PRD . Modification of the PRD Definition is effectively controlled by the Home Owners Association (HOA). 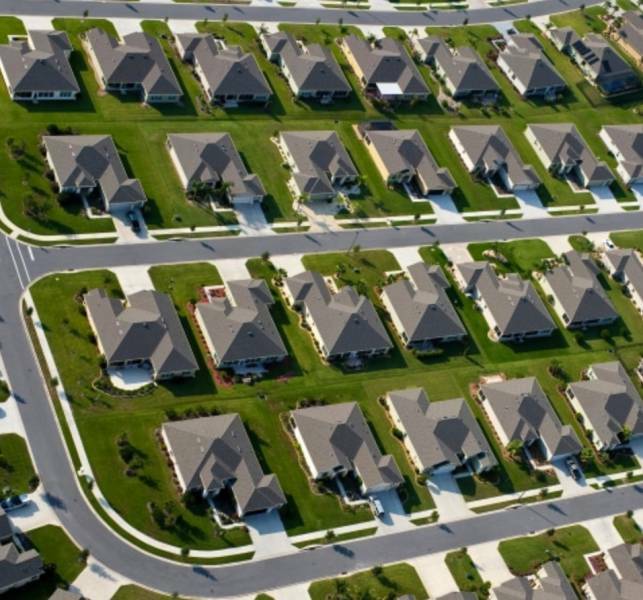 If the HOA wants to modify their plan to accommodate the relocation or the creation of a street into their development, they feel that is their prerogative and the Township supports that position. The applicant disagrees; they own a residential unit on High Street and believe they can use it for an access point. Mr. Davis asked if the Arcadia representatives gave a reason why they didn't address all of the issues on the Township's review letters. Mr. Fidler stated the responses were "we disagree" without going into detail, or "we disagree with the Township position" and will respond later. With the sensitivity of the time line, the longer it takes Arcadia to answer in a timely fashion, the harder it is for our job to be done in a timely fashion. 11-Oct-2017: Report from Planning Commission: Paul Cohen, Secretary, gave a synopsis of the meeting held on October 3, 2017. The only item on the agenda was the Arcadia Green Tentative PRD. At the time of the meeting, Arcadia's responses to our Township professionals' review letters had not been received and the Commission didn't feel prepared to discuss the technicalities of the development plan. Some of the issues discussed at the Planning meeting were concerns about the open space apportionments, use of the common area, and the big issue was access to Newtown Crossing on High Street, and the access to the Bypass. The applicant agreed to an extension allowing the Commission an opportunity to review the plan and applicant's responses to the engineers' review letters. 11-Oct-2017: Arcadia Green PRD Hearing: Arcadia Newtown Holdings LP submitted an application for tentative approval of a plan of residential development, a/k/a PRD, the site is located at the intersection and northwest corner of Buck Road and Newtown Bypass, the application seeks to develop a mixed use development on a site of approximately 25 acres. The application proposes 85 residential units comprised of 26 village houses and 29 townhouses. The application also includes open space, recreation areas and a common facility. The application also includes property owned by the Newtown Reformed Church. 8-Jun-2016: Mr. Calabro reminded the Board that it had recently seen a presentation from Catalyst sign company which would install signage that could generate revenue to the Township. Due to the late hour of the presentation, he felt the vendor was not given full consideration for his proposal and he would like to discuss this further. He also noted that Chairman Davis had not been in attendance. Mr. Davis said that he had met with Catalyst and seen their presentation privately. He is not sure this would be appropriate for Newtown. Mr. M. Gallagher agreed, noting that the Township does not permit billboards. He also has concerns about the other components of the sign such as the dog park. Mr. Calabro said that he was interested in the gateway concept and thought it deserved further consideration. Mrs. Dix said that she liked the farmers market proposal attached to the sign. Mr. R. Gallagher said that he thought this was a unique proposal and perhaps some of the Township's other committees would be interested in seeing the presentation. Mr. M. Gallagher said that he did not want to send the vendors to the Planning Commission or other committee if the concept did not have the support of three board members. He has some concern that there is not enough support for a large sign on the Bypass. Mr. Garton and Mr. Ferguson suggested that they, along with two Board members, could review the concept in depth before bringing the vendors to other committees or to the full Board in a formal setting. Mr. Davis and Mrs. Dix agreed to review this concept further with Mr. Ferguson and Mr. Garton. A Large Electronic Billboard – Touted as “the Middleown Monument” – is Being Erected at Intersection of Route 1 and Oxford Valley Road Near Wawa! 10-Oct-2018: Wrightstown Township: Establishing a Overlay Zoning Definition district for properties at least 50 acres and are now or will be subject to a Conservation Easement Definition in favor of conserving the property and limiting the use. Ag uses, accessory uses to a winery, would allow micro‐breweries, micro‐distilleries, art studios, etc. Motion for authorization for Jointure Definition to advertise for a public hearing before the Newtown Township Board of Supervisors passed 5-0. Drive-thru Starbucks in Village at Newtown is Back on Track! 25-Apr-2018: The Newtown Planning Commission recommended the Supervisors not oppose the Conditional Use application for Starbucks, 2896 South Eagle Road, Village At Newtown West. This application pertained to the function of the drive-thru for an E5 and E6 eating place. This is one of the new buildings approved as part of the comprehensive Village At Newtown redevelopment plan. The Commission is limited with suggesting changes to what had been approved during the subdivision and land development application. Based on demand, the operating hours would be from 4:30AM to 11:00PM, and deliveries would be made after 9:30PM. The restaurant proposes 41 interior and 26 exterior seating which would be accessible from the parking lot. Concerns were discussed regarding the proposed drive-thru, 10-car stacking lanes, parking, time of operation, and safety of the outside seating area. It was suggested to the applicant that decorative concrete bollards be installed at the perimeter of the outdoor eating area to increase safety from vehicular traffic. The Commission was also concerned about pedestrian traffic cut-thru to Starbucks and suggested signage to promote safety stating “cross at the crossing” and to add decorative fencing to hinder pedestrian traffic cutting through the shopping center parking lot. 13-Feb-2019: Ms. Bobrin moved to authorize execution of development, financial security and stormwater agreements for Fred Beans, Newtown [see here for details of renovation plans]. Mr. Mack seconded and the motion passed 4-0. 10-Jan-2018: A visual concept displayed the new frontage of the showroom and the body shop, complete sidewalks, signage resulting in six less signs, and how the property is proposed to blend in with historic area. Because it was a nonconforming use, the Zoning Hearing Board granted relief, Parks & Recreation recommended to receive over 10,000 sq. ft. of open space to connect Sycamore Street with the shopping center, and the Plan has the recommendation from HARB and the Planning Commission. Motion for approval passed 5-0. [The BOS approved the plan at the February 13, 2019, public meeting. 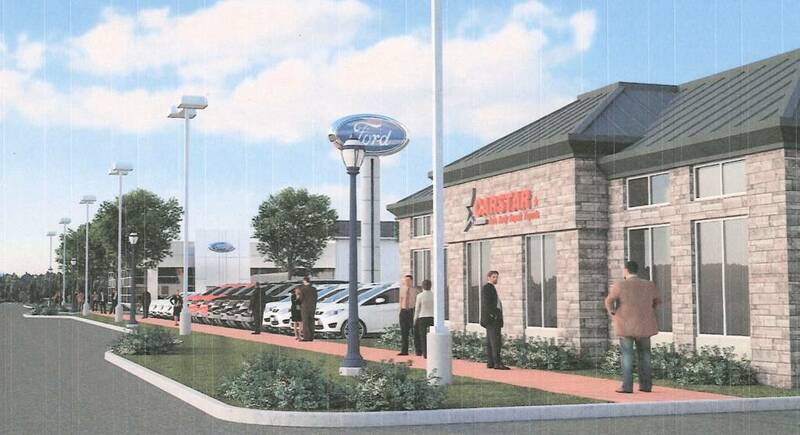 Read "Newtown Township Gives the Final Go-Ahead for the Renovation of the Fred Beans Dealership on Sycamore Street." 27-Dec-2017: Fred Beans Ford of Newtown Preliminary as Final Plan, 10 North Sycamore Street - Applicant had returned to the Planning Commission after meeting with HARB to review blending the architectural plans with the historical appearance of the area. The Commission recommends the Board grant preliminary as final subject to compliance to the consultants' letters. 26-Apr-2017:Planning Commission Chairman Allen Fidler reported that at the April 18, 2017 meeting the Commission reviewed a Zoning Hearing Board application for Fred Beans Ford, 10 North Sycamore Street. The application seeks to correct many existing non-conformities, including buffering requirements, drive aisle width and parking stall size for inventory parking. With a proposed land development, the applicant intends to add new facades to the body shop and showroom and redesign the inventory lot. The Commission recommends that the Supervisors support this application but suggested certain conditions, including wording of relief such that the variances cannot be carried over for other uses; providing some landscaping or buffering along the Sycamore Street sidewalk such as a small wall and/or fence, which would still allow inventory to be visible from the street [note that the final rendering does not include this feature]. Although this property is not in the historic district, it is surrounded by historic properties; it is also recommended that the applicant work with HARB on the two new building facades and the signage. 12-Jun-2013: Allen Fidler, Chairman of the Newtown Planning Commission, gave Supervisors a synopsis of the June 4, 2013, Commission meeting regarding a land development conceptual Sketch Plan Definition for development of a ten acre parcel at the intersection of Newtown Bypass and Silver Lake Road as a 110 room hotel, two restaurant pads and a medical office building. The site is intersected by a 150 foot wide PECO property with high tension wires and utility lines as well as a stream, waters of the Commonwealth and woodlands. The applicant acknowledged that flood studies, traffic studies and tree counts will be necessary before fully engineered plans are developed or applications to the Zoning Hearing Board are made. The members discussed some of their concerns with intense development of this parcel. The Township has been resistant to uses E-5 and E-6, eating place and drive through in the OR zoning district and advised the applicant that asking for two pad sites for restaurants may meet with some opposition, especially if fast food were considered. The applicant assured the Commission that he will be offering the site for family friendly restaurants with no drive through service. The applicant said that he intends to cooperate with Township signage regulations, which is another of the Commission’s concerns. The members discussed access to the site and sidewalks within it, so that pedestrians would have safe access among the uses. Regarding the hotel, the Commission discussed the proposed height and location on the lot; the subsurface is rock, limiting its possible placement. It will be set back and not will dominate the view from the Bypass. The Commission advised the applicant of the Township’s history of resistance to restaurants at this location, acknowledging the desirability of eating places in easy proximity to hotels. The Commission advised the applicant to be flexible, possibly locating the restaurant inside the hotel or seeking relief for only one restaurant and having only three buildings at the site. A traffic engineer has been brought on to the project but no preliminary work has been done yet to determine whether roadway improvements will be necessary for Silver Lake Road. The Commission was receptive to development of this property and did not express strong objections to the hotel concept, provided signage complies with Township ordinances. There were no strong objections to the medical office building, although there was some concern about possible parking relief for the three different uses’ shared parking concept. Should the medical office change to a use with evening hours, the sharing of parking with restaurants and a hotel could become an issue. Dr. Ciervo noted that parking is shown on the PECO property and that the three uses proposed are not permitted in the OR zoning district. Mr. Fidler said that the Commission had some concern about the intensity of the proposed development but until the flood lines are delineated it is difficult to discuss in detail. The surrounding business community is eager to see service businesses, especially a hotel with meeting facilities, in this area. The applicant has not contracted with a specific hotel chain but is considering upscale facilities. The Commission expects this to be a very long process, but the applicant was flexible and eager to work with the Township. More information can be found in the June 4, 2013, minutes of the Planning Commission here. Download the Property Brochure for this proposed land use, which includes the sketch plan. See "Wawa on Bypass" for an alternative land development proposal Sketch Plan for this area presented to the BOS in 2018. 27-Sep-2017: KVK Tech was granted conditional use approval on July 28, 2004 to use 33,000 sq. ft. of building on the subject property (110 Terry Drive) for a G-2 research use, G-1 manufacturing use, B-1 office use, and G-3 warehouse use which 4,000 sq. ft. was devoted to a laboratory. The approval also provided for a maximum of 37 employees and provided 41 parking spaces. KVK's conditional use amendment application requests approval to amend the conditional use approved on July 28,2004 to increase the manufacturing area space by 4,791 sq. ft., propose to increase the number of employees on-site between 120-130 and increase of on-site parking spaces to 181. Mr. Calabro commented on why KVK couldn't put this expansion and construction into the former Lockheed-Martin property they recently purchased. Mr. Murphy replied that the Lockheed-Martin building is presently being renovated and will be focused on new products upon FDA and other governmental approval proposed near the end of the year. The motion carried 3-2 with Mr. Calabro and Mrs. Dix voting "nay". 28-Jun-2017: The Planning Commission raised certain questions about the application that were not able to be answered by applicant's attorney because a representative other than the attorney was not present to answer the business operational questions. It was suggested to KVK Tech's representative that some of the concerns and questions that we asked be provided by management of KVK Tech prior to going to the Zoning Hearing Board. The Lockheed-Martin site has security required and it was questioned why KVK Tech was seeking variances at the Terry Drive location. KVK's representative eluded that the vault was a federal requirement there would be substantial additional expense to relocate and obtain permission from the federal government to put another vault in a different location. The Commission suggested that a representative of KVK Tech to answer questions of the Commission and the Board. 21-Nov-2017: Applicant is seeking subdivision of the property to create two lots: lot 1 is approximately ~ acre and will maintain the existing lukOil service station. lot 2 will be approximately over one acre; no improvements are determined at this time. The Newtown Township Planning Commission, without a quorum, recommended the preliminary as final minor subdivision plan, subject to conditions, at its meeting held on November 7,2017. There were questions from the Board regarding the paper street (Howard Avenue) and what future use there would be for lot 2. There are no plans for lot 2 at this time. Mr. Calabro asked if Lot 2 would be developed into a convenience store, within the proximity of the gas station, is there any violation. Mr. Torrente believed it would be restricted what is permitted within that zoning district. The zoning would be grand fathered in from Lot 1 to Lot 2. Mr. Calabro understood that if the restriction was not to have a convenience store, there would not be a convenience store. Mr. Torrente opined that if there was such a restriction, that would be correct. Granted (3-0) two waivers from the provisions of the Newtown Township Subdivision and Land Development Ordinance (SALDO Definition). 23-May-2018: Joe Blackburn, Esq., represented Pickering Manor with respect to its pending land development located on 226 North Lincoln Avenue. Based upon their non-profit status, Mr. Blackburn made a request that the Board consider a reduction in the Parks & Recreation fee-in-lieu amount. It was agreed that the fee-in-lieu amount would be half the amount of $46,570.87. An actual amount would be determined at a later time. Applicant will also pay a traffic impact fee in the amount of $7,020.00. Mr. Calabro put the motion to a vote and the motion carried 3-1 (Mrs. Dix voted "nay"). 28-Feb-2018: Proposed is an 18,000+ sq. ft. addition to the main property, expanding parking area, and underground water seepage bed. The applicant will comply with the Township Engineer Definition review letter issues, however, waivers were reviewed at the Planning Commission meeting. Concerns of the residents were storm water runoff, truck deliveries, and overall operating noise and traffic. It was recommended that the times for food supply deliveries be made in a smaller truck and be moved to a more appropriate time. The executive director of Pickering Manor urged neighbors to contact her to discuss any issues they may have. 14-Feb-2018: A plan was submitted proposing an approximate 18,200 sq. ft. two-story building addition to the main building and additions to three of the five existing cottage buildings. Expanded parking and driveway facilities and an underground seepage bed for storm water management is also proposed. 21-Sep-2018: Consideration of PRD Definition Elimination Zoning Ordinance Amendment: Mr. Sander - Township Solicitor - explained that at the recommendation of the Bucks County Planning Commission, an ordinance is being circulated among the Jointure Definition partners to remove the PRD use from the JMZO. Passage of an ordinance eliminating this use from the JMZO Definition would not impact current applications. Mr. Davis moved to amend the JMZO to remove the PRD use from its permitted uses. Ms. Bobrin seconded and the motion passed 5-0. Read: "Newtown Township, Upper Makefield, and Wrightstown to Consider Deleting Planned Residential Development from the Newtown Area JMZO"
17-Sep-2018: >Toll Brothers Archdiocese Property Sketch Plan Definition Presentation: Gregg I. Adelman, Esq., represented applicant Toll Brothers; Jon Crabtree, Land Acquisition Manager of Toll Brothers and Justin Barnett of ESE Land Planning Engineering also were in attendance. Mr. Adelman presented a sketch plan. Access to the development would be through a new road connecting the community to Wrights Road and Route 413/Durham Road. Proposed are 37 estate lots of 3,600-4,800 sq. ft. homes on approximately 2/3 acre lots; 51 village lots of 2,600-3,500 sq. ft. homes on approximately ¼ acre lots; and 85 carriage houses of 1,700-2,800 sq. ft. in cluster rows of 3-4 homes. The developer discussed traffic, lot configuration, housing density, EDUs required and approved, storm water runoff, impact of potential students to the school district, trail connection, and open space dedication. Read: "Toll Brothers Twining Bridge Road Proposal"
See "IHM Properties, Newtown Bypass at Lower Silver Lake Road" for an alternative land development proposal (Sketch Plan Definition) for this area presented to the BOS in 2013. 14-May-2018: Attorney John VanLuvanne, representing the Wawa developer, explained the process of amending the OR (Office/Research) District Definition zoning ordinance to allow the Wawa to be built in that district and promised to submit a traffic study (Transportation Impact Study, aka TIS Definition) in the "interim." Access the Wawa Transportation Impact Study prepared by the developer's traffic engineering firm here.